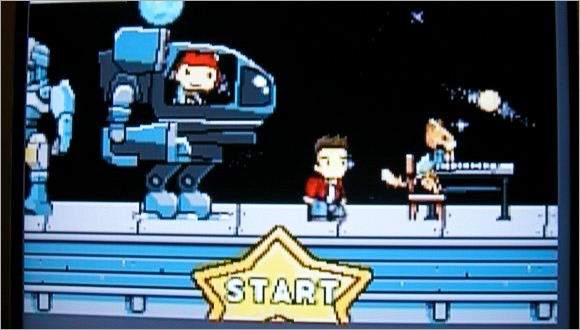 Scribblenauts is a puzzle-platformer for Nintendo DS in which you solve puzzles by conjuring anything E10+ in writing. I wrote night vision goggles. A pair appeared in the air above my character. When I slipped them on his head the screen turned green. It is reportedly one person's job at developer 5th Cell to go through a dictionary adding items to the game. Is it November 15 yet?